Why Real Estate Regulation Act Registration is required? CentrikBlogsBusiness AdvisoryRERA ConsultingWhy RERA Registration is required? Why RERA Registration is required? 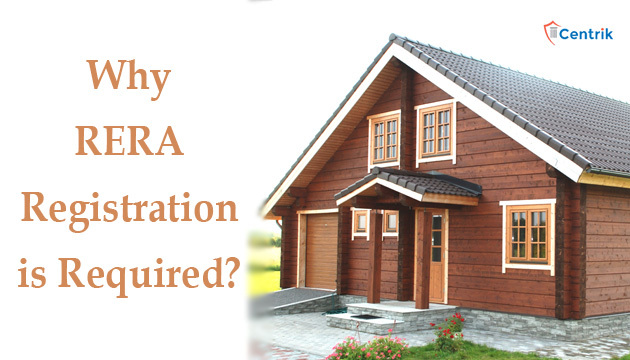 After enactment of RERA regulations, first question that comes in mind, Why RERA registration is required?” in this article, we have elaborated the RERA registration requirement. in any real estate project or part of it, in any planning area, without registering the real estate project with the Real Estate Regulatory Authority established under this Act. As per RERA, Real Estate Regulatory Authority shall be established State/UT wise. Hence, the promotor need to register the project with the RERA of the State where project is situated. Planning area shall be planning area or development area, whatever name called, designated by respective State/UT Government under the laws related to Town and Country Planning. Authority thinks necessary, in the interest of allottees, for projects which are developed beyond the planning area but with the requisite permission of the local authority, it may, by order, direct the promoter of such project to register with the Authority. Registration shall also be required for on-going projects on the date of commencement of this Act for which the completion certificate has not been issued. Such project shall be required to be registered within a period of 3 months from the date of commencement of this Act. For the purpose of this section, where the real estate project is to be developed in phases, every such phase shall be considered a standalone real estate project, and the promoter shall obtain registration under this Act for each phase separately. the number of apartments proposed to be developed does not exceed 8 inclusive of all phases. If the promoter has received a completion certificate for a real estate project prior to the commencement of this Act. Any contract for the purpose of renovation or repair or re-development which does not involve marketing, advertising selling or new allotment of any apartment, plot or building, as the case may be, under the real estate project. above 500 sqmts land area, exceed 8 flats appartment but we are only family member regarding hindu act. not for sale purpose. so we r applicable or not applicable to rera act. plz reply ….. This section specifically focuses on book , market , sale . If any Real Estate project is developed/ to be developed for the purpose of sale then in that case only registration is required. Very informative article regarding RERA Registration and RERA Act. We are planning to purchase a plot of 1000 sqrefeet on a project at indore location. The township is developed but not rera approved. Not sure how many apartment are there. Kindly suggest what are the side effects if we still purchase it.